When your new airplane is ready to fly, it’s time to sit in some quiet spot, put your ego on the shelf and be brutally honest with yourself. You may have spent years in the shop building instead of flying (or perhaps you just bought your first RV) and although your airplane is ready to fly, you may not be. There is no dishonor in this. It’s just a fact of life. But the desire to fly that airplane you’ve spent so much time building is very strong, and thanks to human nature it takes very little justification to make the risk appear acceptable, even when it’s not. The airplane, however, doesn’t care one bit about justifications or excuses or unrealistic expectations. The laws of physics will not be repealed by human wishful thinking. If you have any reservations at all about your flying skills, experience or currency, why jump into a high performance airplane that you’ve never flown before and risk all that work and possibly your life? Especially when there is an alternative. Transition training is designed to convey the basic knowledge and skills required to fly an RV safely. According to federal regulations and common insurance requirements, this training is designed specifically for transitioning pilots (of all kinds, from private to ATP) from other aircraft types and experience into the RV. It is not intended to teach every possible skill or nuance of RV flying, nor is it focused on the sort of training you should spend time with your CFI to accomplish, such as basic flight skills, general proficiency, aerobatics or tail-wheel endorsements. It’s also not a “biennial flight review” opportunity, and the FAA’s rules under which transition training is conducted typically exclude flight reviews from what’s allowed. Van’s has published a high-level RV Transition Training Syllabus that instructors use when tailoring and conducting your course. Who Qualifies for Transition Training? Transition in RVs is available only to pilots who are building or who own RV aircraft. All pilots seeking this transition must be current in other general aviation aircraft when they arrive to start the training program. Note that if you are looking for transition training for the RV-12 aircraft, there are a number of flight schools available that can help. We have a list of training centers specifically for you over on the flyrv12.com web site. The instructors below participate in the Transition Training Program. They have extensive experience flying RV aircraft — a must for any instructor providing RV transition training — and they teach a syllabus prepared in cooperation with Van’s Aircraft, Inc.
You’ll also find a list of flight schools that operate the RV-12 SLSA for training on our flyrv12.com web site. Mike has built an RV-4 and an RV-6. He is the acknowledged Dean of RV instructors, serves as the Van’s Aircraft factory RV instructor, and probably has more RV hours than anyone. Those hours include thousands of dual instruction hours given in the RV-6/6A, RV-7/7A, RV-9/9A, RV-10, RV-12 and RV-14/14A. He is based in Vernonia, Oregon, a 10-minute flight or 40 minute drive from Van’s. Instruction from Mike is available in the RV-6A, RV-7, RV-9/9A, RV-10, RV-12 and RV-14/14A. (RV-4 and RV-8/8A pilots train in the RV-6A or RV-7). The best way to contact Mike is via the email address listed below. Note: Alex is currently on a sabbatical from RV transition training in 2019 due to his work schedule, and is not scheduling any training at the present time. Stay tuned for updates and changes to Alex’s Status. Alex has built an RV-7, RV-7A and an RV-10 — and has flown all RV types. He earned his CFII Multi engine in 1991 and has been instructing ever since. He moved to Ft. Worth Texas from Chicago to work as an Air Traffic Controller in 1994 and as of late he fly’s for the FAA doing Flight Check inspection for the NAS. Alex has been and assisting RV’ers on a continual basis since he received an FAA waiver (LODA) to conduct RV transition training in 2001. Instruction from Alex is available in the RV-7, RV-7A and RV-10. All aircraft are equipped with Constant-Speed propellers. 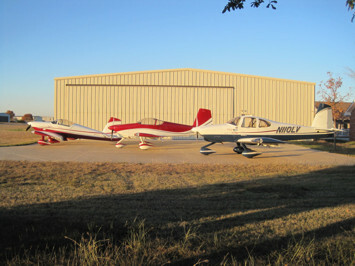 RV-4, RV-8/8A and RV-9/9A pilots are trained in the RV-7A or RV-7. 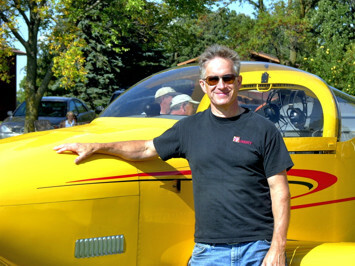 Brian has built an RV-6A which has been flying since 1997 and has accumulated over 2,000 of RV time logged. He is a retired mechanical engineer and earned his flight instructor certificate in 2007. Since early 2008, Brian has been providing transition for RV-6A, RV-7A, RV-8A & RV-9A airplanes. 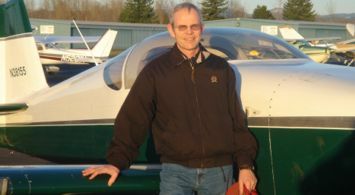 He lives in Gresham, Oregon (15 miles east of Portland), and bases his RV-6A at Troutdale (KTTD). Since he is retired, his schedule is flexible. 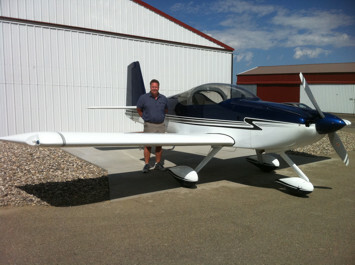 Brian uses his 2-place 160 HP fixed pitch propeller RV-6A (N38155) for . For scheduling and additional information contact Brian. Chris is based in the Boise, Idaho area and provides transition for most of the RV series airplanes, including RV-6A, RV-7A, RV-8A, RV-9A, RV-12. He is self-employed, allowing for easy, flexible scheduling of dual instruction. Instruction currently given in N585RV, a 180 hp, IFR, constant speed, fuel-injected RV-7A. It has both, glass and round gauges, modern Garmin radios, and a 430 GPS. Tom’s path to Certified Flight Instructor started in 1987 with his private certificate. That same year he began building his RV-6, finishing and flying it in 1991. During the next ten years or so, he involved himself deeper in the RV world by giving numerous first rides to potential RV wannabes, helping out individual builders with questions, and teaching the occasional construction class. People also started asking for pre-FAA inspections and pre-buy inspections, so those were added to his list of RV activities. In 1997 Tom inserted himself into a weather situation that tested the limits of his luck, so he trained for and received an instrument rating the following year. Safety began to take an ever-increasing role in his actions. 2001 brought an RV-7A kit to his workshop, and 23 months later it emerged complete. The RV-6 was sold and a new adventure began. Tom’s RV activities continued around the local area with the usual inspections, construction and builder assists, but he wanted to do more. He started the process of getting his commercial pilot certificate and completed that in early 2009, then took aim at the flight instructor certificate. He attended American Flyers, graduated from their structured course in Atlanta , GA and finally finished up in September, 2009. Tom has accumulated north of 4500 hours, almost all in RVs. He is a technical counselor for the Twin Cities RV Builder’s Group and does the occasional first flight to keep some excitement in his life. Tom looks forward to transitioning beginning RV pilots and passing along the experience he’s accumulated over the years.